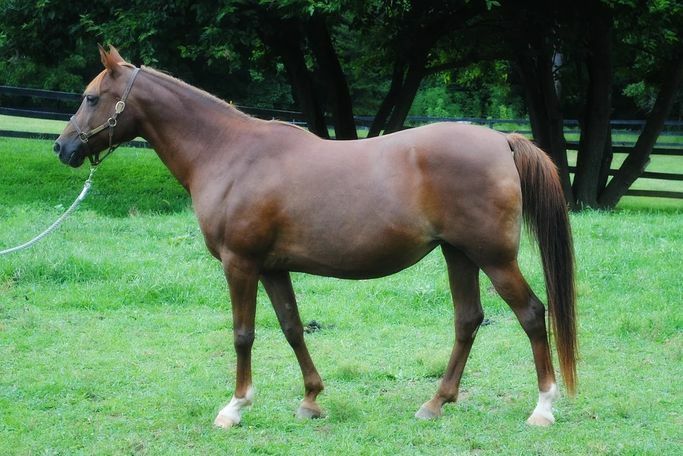 Chloe is a chestnut 1999 Arabian mare who came to ERL in 1999 with Arabella and three other fillies. These foals were suffering from severe malnutrition and neglect, but all thrived under the diligent care of ERL's volunteers. After spending almost 10 years with Arabella and their adopted family, both mares were returned to ERL in December 2013 when the family moved out of the country. Chloe has lived her entire life with Arabella, and is unable to be ridden due to an accidental shoulder injury as a youngster. Chloe and Arabella are a bonded pair and we prefer they are adopted together.